Highly recommended, support a small company using new technology to produce some great products. Don’t let the name fool you, Scale Warship also cater for naval aircraft enthusiasts. Who are Scale Warships? Well Robin Carpenter set up in 2011 and primarily deals with a range of photo etch and resin detail sets in 96th and 72nd scale for warships from WWII. 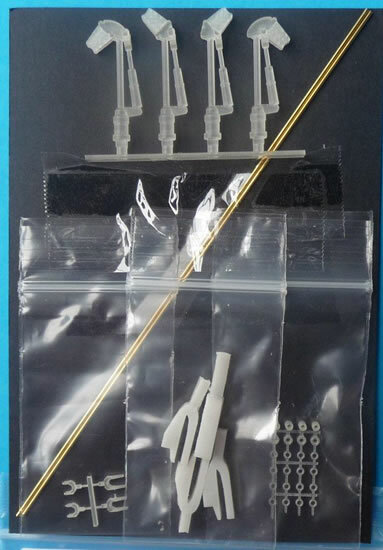 They are expanding into aftermarket features for plastic helicopter kits. 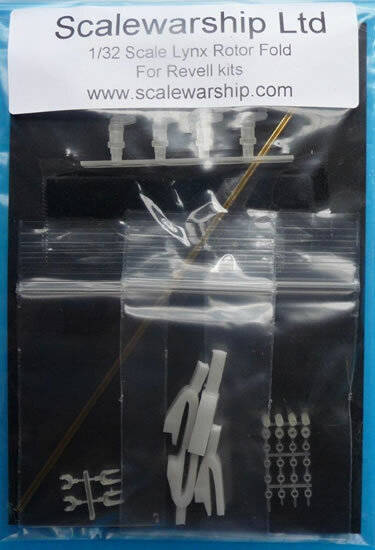 Scale Warships are a United Kingdom based company with products manufactured in the UK. Last year Alan (Robin’s brother) and his old friend John Wills joined Robin and Scale Warship Ltd was created. 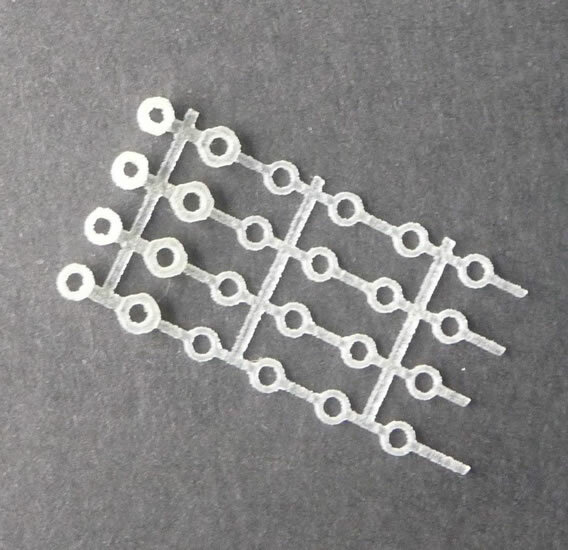 They are producing parts on a 3D printer as well as using tradition resin and photo etch methods, from their website, "We are always open to fresh ideas and requests. Please make use of the contact details for any enquiries." The product comes in a zip locked bag with all the individual items bagged and taped to the backing card to prevent damage to the product. 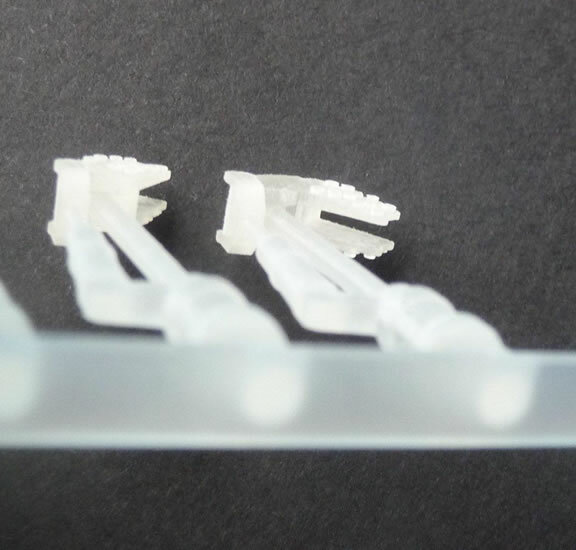 The 3D printed parts look very similar to clear resin, the detail is crisp and the advantage is that there are no nasty seam lines to clean up or pin holes to fill. 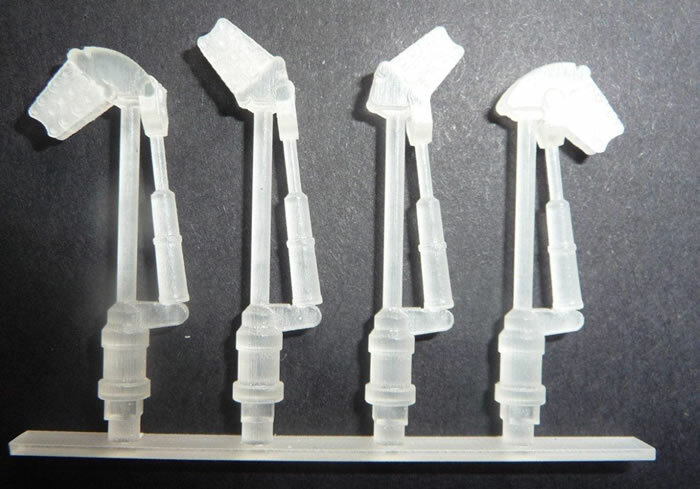 The instructions advise you use care with the 3D printed parts as they are hard and will not be as forgiving as plastic. The A4 size instruction show you where to cut then sand the kit main rotors and the rest is simply a matter of attaching the four replacement main rotor arms (with drag braces) to the kit head. 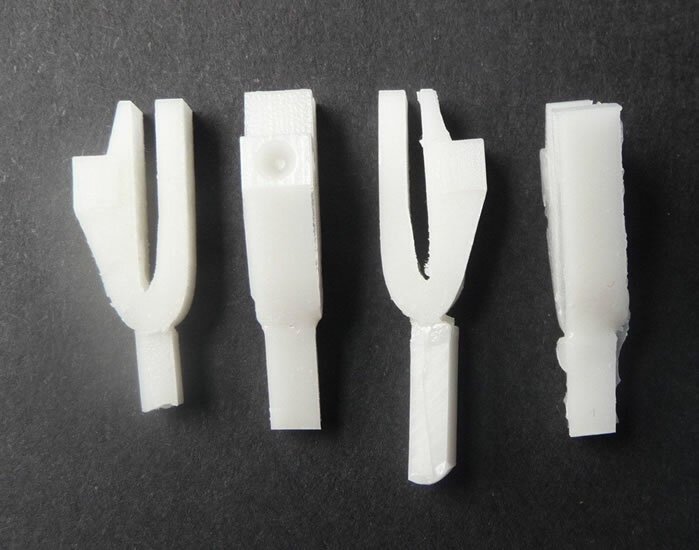 The last steps are constructing the blade holders and fitting the support rods with the various brackets (3D printed). The instructions are very comprehensive. 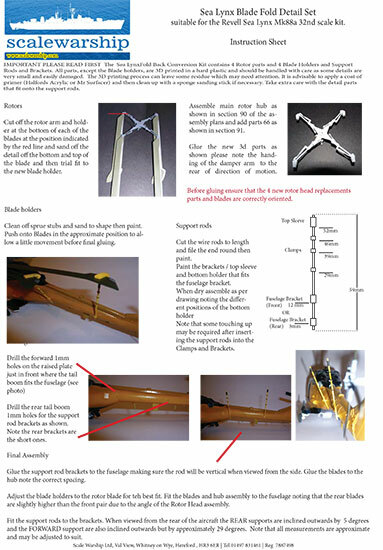 There is an error in early produced instructions and the image top left should be replaced by the one in this review. Robin was very helpful in providing a corrected image and instructions. It’s refreshing to see quick and responsive communications from a manufacturer. Robin also provided revised PDF instructions. 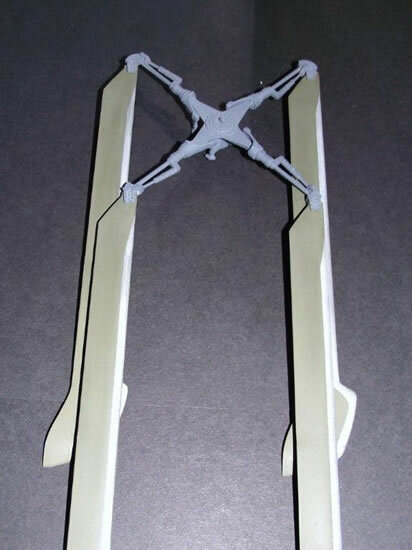 As the instructions point out, make sure the 3D rotor arms are attached to the head in the correct direction and that the rotor blades are attached as per the supplied image. 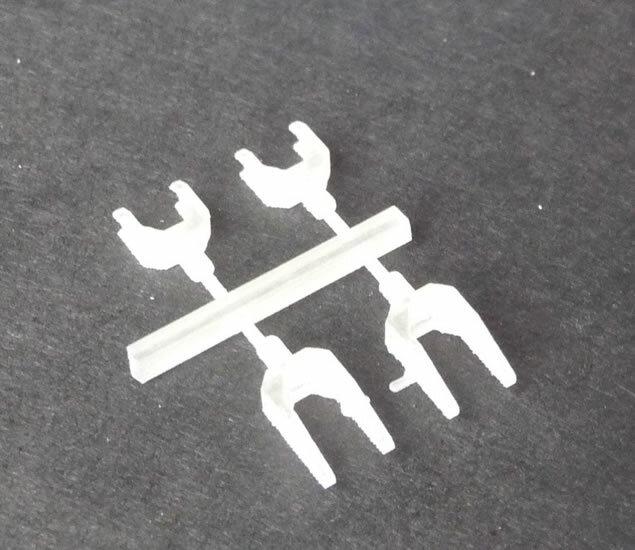 This looks to be a nice easy modification to display your 1/32 Lynx with the rotors folded. Do yourself a favour and support a small manufacturer; I’m certainly looking forward to Scale Warships future releases. Thanks to www.scalewarship.com for the review sample.